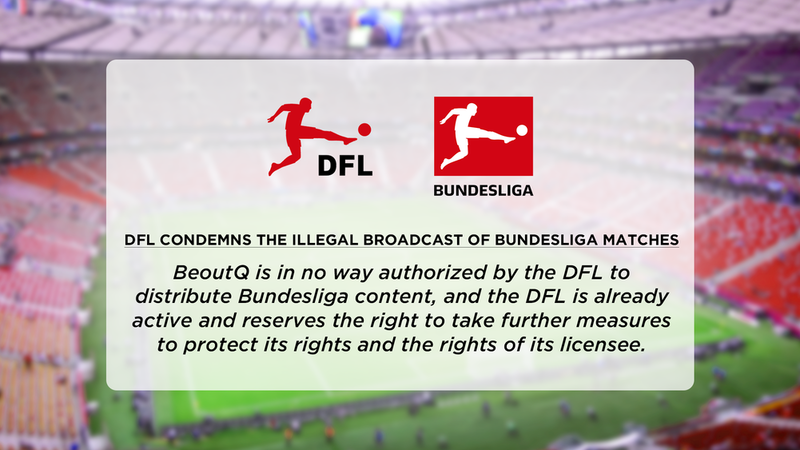 The DFL, the football federation of Germany has condemned "BeoutQ" and the illegal broadcast of the Bundesliga on its channel. beIN SPORTS is the official broadcaster for the Bundesliga in the MENA region. In a brief statement, the DFL outlined its stance on the illegal broadcast of its league and ensured that action will be taken on the Saudi Arabia based channel. The DFL joins the likes of other sporting organizations, such as FIFA, UEFA and the International Tennis Federation calling for the illegal broadcaster to stop or face major consequences.